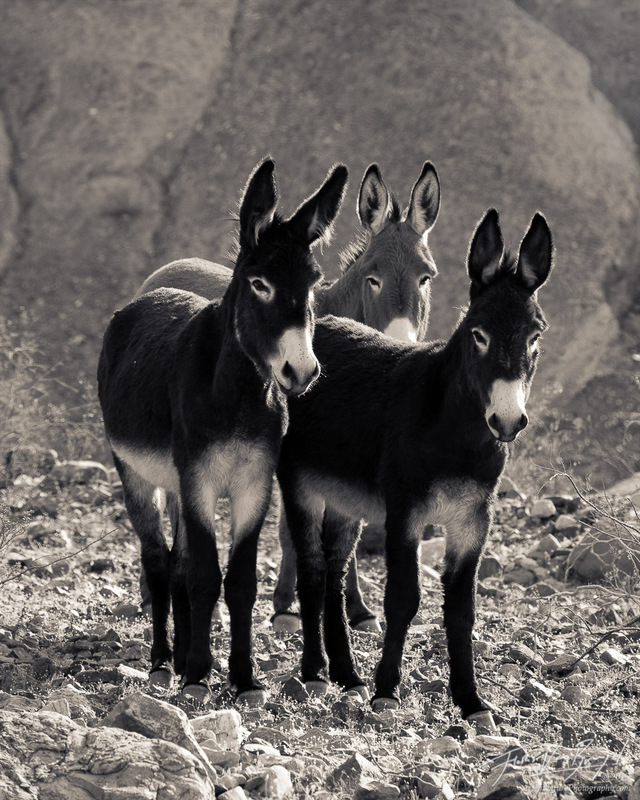 A group of wild Burros poses in a remote canyon in Panamint Valley under the harsh sun. Burros were introduced to the southern deserts of the United States and Mexico by the Spaniards in the 1500's. Originally they are from Africa (where they were called Wild Asses), but have been surviving happily for the past 500 years in the dry deserts such as Death Valley.